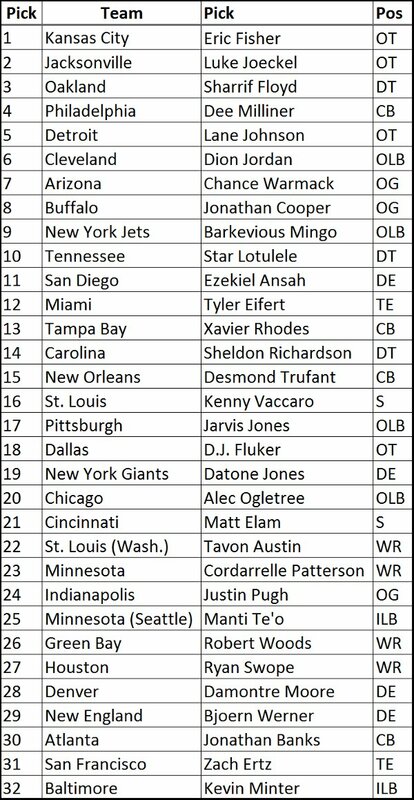 Dolphinshout in conjunction with the writers at afatt.com present the first addition of the 2013 NFL Mock Draft. This is a first iteration and is open to debate in the comments section. Shouters should create there own list from 1-32 and write it in the comments. There will be an attempt to update this list based on the suggestions from readers. As with any mock draft the selections are based on opinions and we all know about opinions. Try to go a little easy in the comments, using words like, "complete idiot, and dumb as a box of rocks," are just so insensitive! This is for your enjoyment and debate, while a lot of thought has gone into it, the actual draft will be quite different. 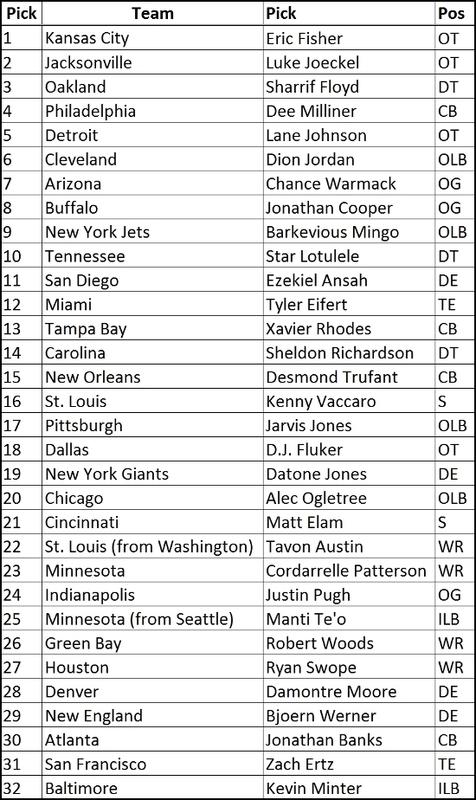 It is impossible to predict trades which completely shake up every mock draft. Consider your suggestions without trades. Certainly the subject of trades is up for debate in the comments.